2018年ニュルブルクリンク24時間耐久レース参戦レポート Vol.1 | SUNRISE Blvd. First finish with the Renault R.S. 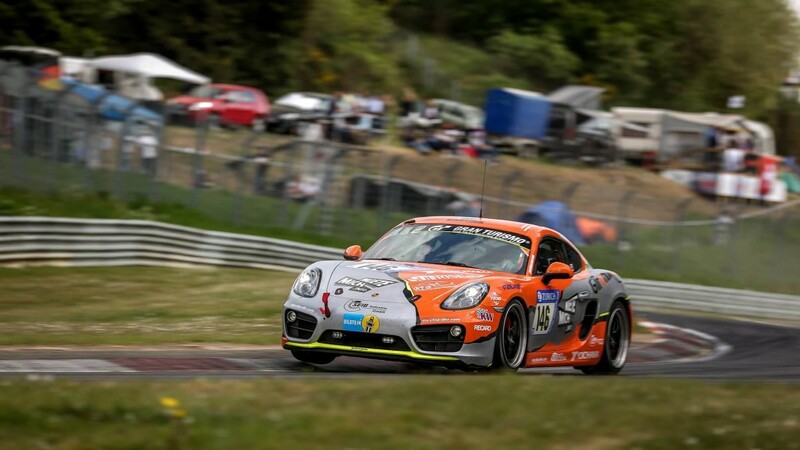 01 GT3 – failure with the Porsche Cayman. 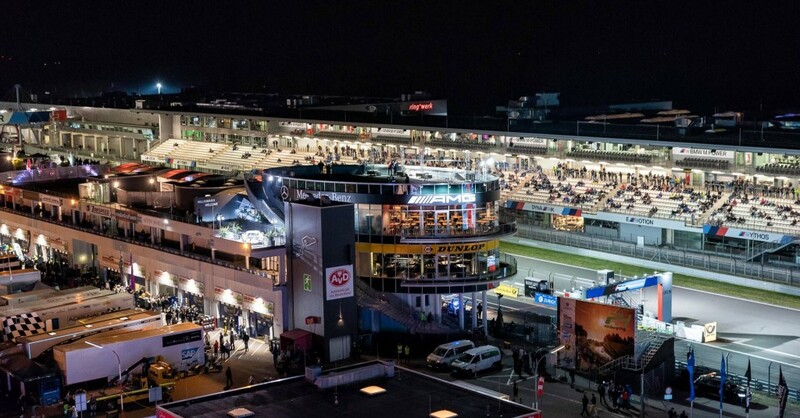 The 46th edition of the 24h-race Nürburgring offered thrilling motorsport with typical Eifel weather conditions. 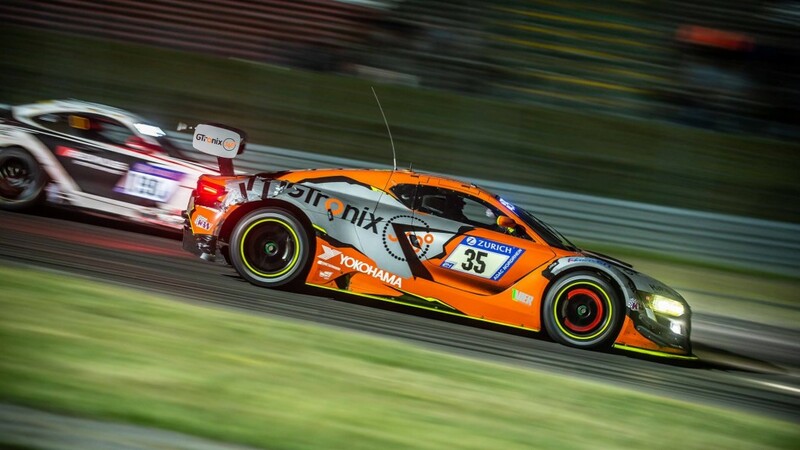 150 cars and 600 drivers tackled the endurance classic, including the GTronix 360° Team mcchip-dkr from Mechernich, which competes with the spectacular Renault R.S. 01 GT3 in class SP-X (# 35 Dieter Schmidtmann / Heiko Hammel / Kuno Wittmer) and a Porsche Cayman in class V5 (# 146 Georg Griesemann / Kohei Fukuda / Florian Quante / Michael Mönch). Already in free practice, Heiko Hammel set a first exclamation mark when he placed the R.S. 01 GT3 at the top of the starting grid. 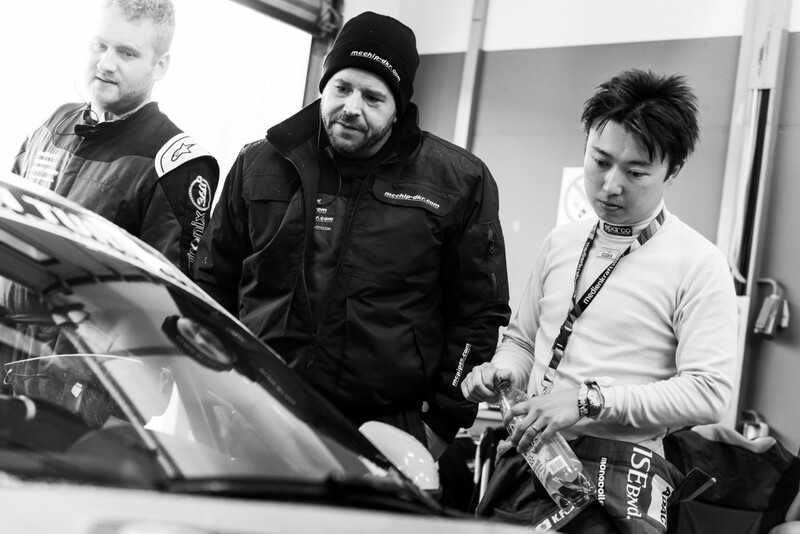 The team started highly motivated into the qualifying sessions with the target of achieving the Top 30 Qualifying. 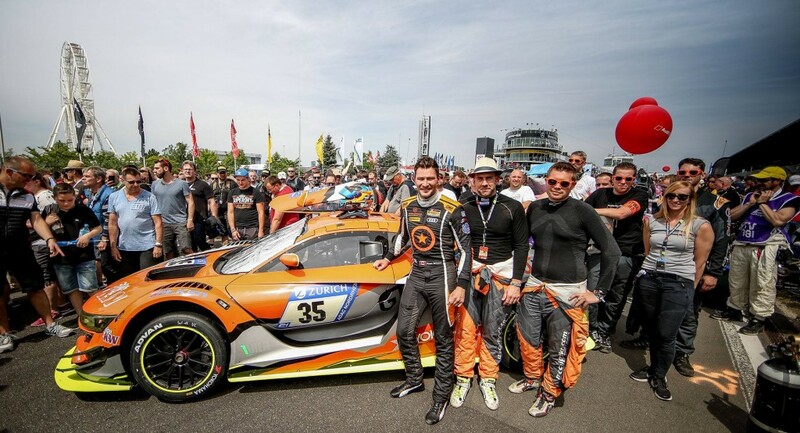 Heiko Hammel drove the Renault R.S 01 GT3 with a lap time of 8:15 minutes on grid position 25 despite the armada of GT3 factory cars! 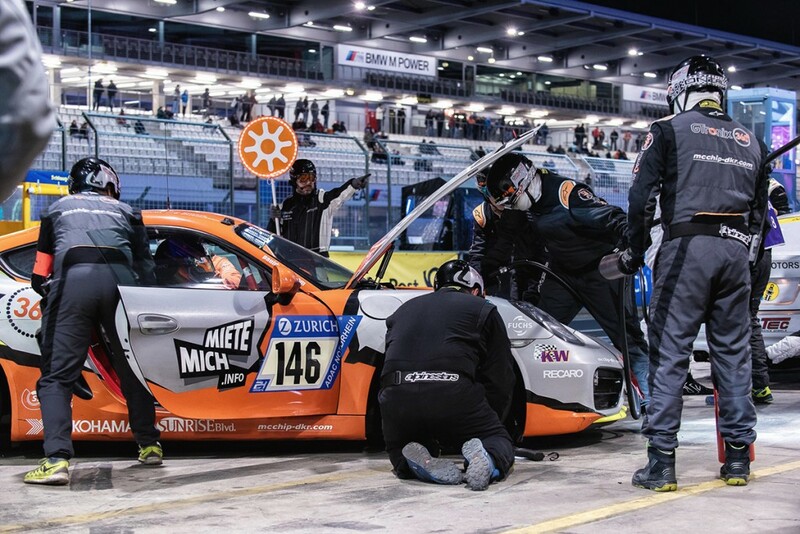 The race start took over the experienced Canadian Kuno Wittmer. After a strong starting phase in dry track conditions, the R.S. 01 was in the early Saturday evening already in the top 20. Then a small setback followed, because short-term problems with the fuel supply cost valuable minutes. In the following race to catch up the team fought their way up to 22nd place. 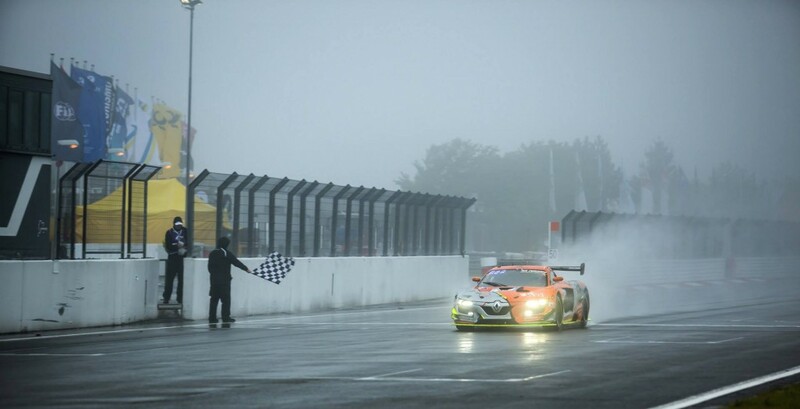 The night was marked by heavy rain showers, which led to difficult conditions on the track. 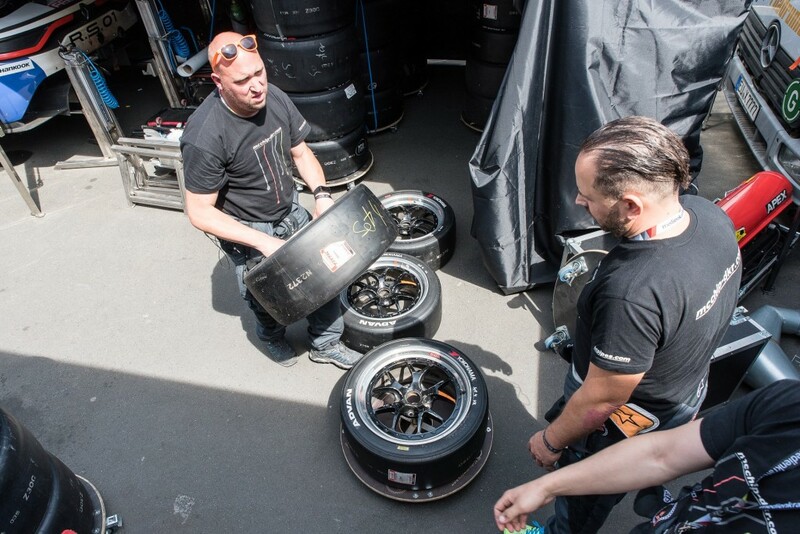 Not what the team from Mechernich had hoped for because with the Yokohama rain tires you could not keep up with the pace of the factory teams. 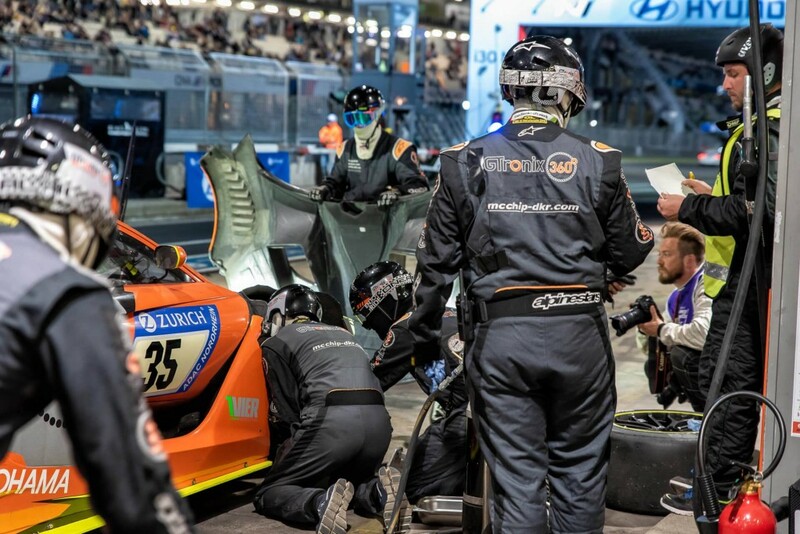 Thanks to a good pit-stop tactic, the loss of time was limitied, but an attack on the top 20 was out of question. 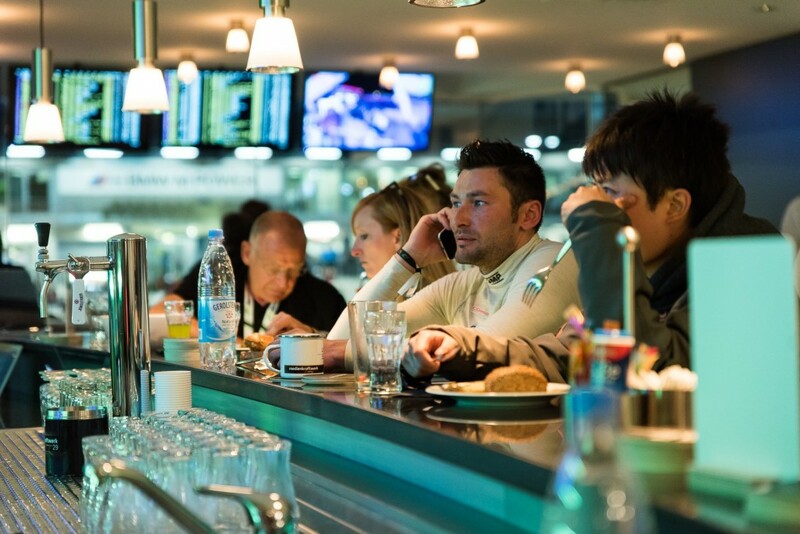 On Sunday morning, thick fog joined to the rain, forcing the race control to take a longer break from the race. The restart went well like the last race kilometers and after 127 laps the Renault R.S 01 GT3 saw the checkered flag on 23rd place overall. 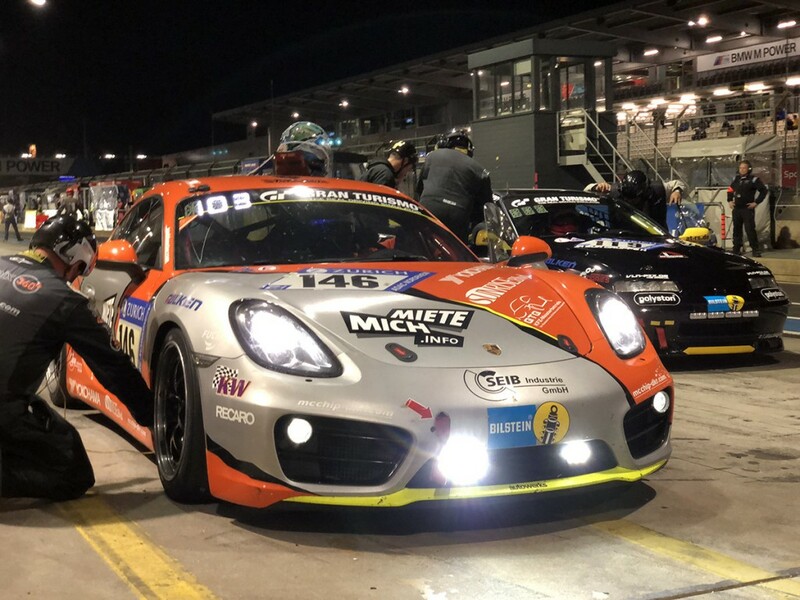 The race for the second car from GTronix 360° Team mcchip-dkr, the Porsche Cayman (# 146 Georg Griesemann / Kohei Fukuda / Florian Quante / Michael Mönch) was unfortunately less enjoyable. 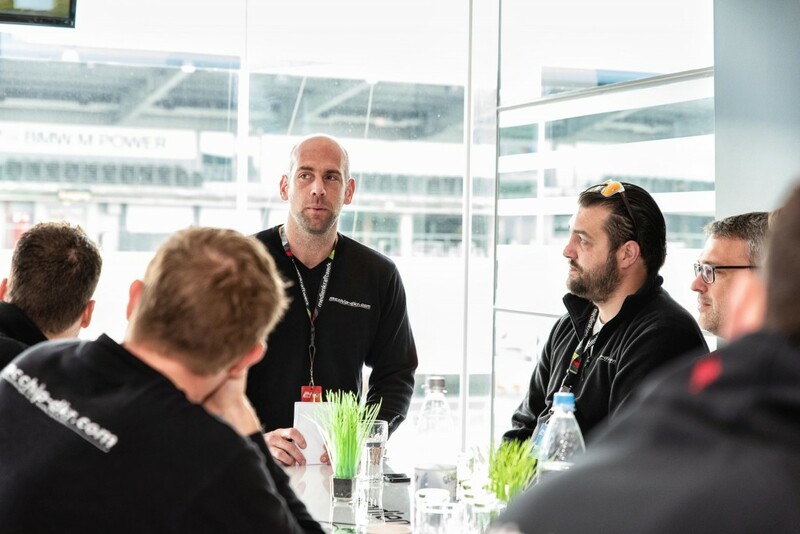 While Florian Quante still achieves pole position in class V5 in qualifying, the team struggled early with electrical problems in the race and had already stop in the pit after three hours for a long time. Of course, the team does everything to bring the race number 146 back into the race. 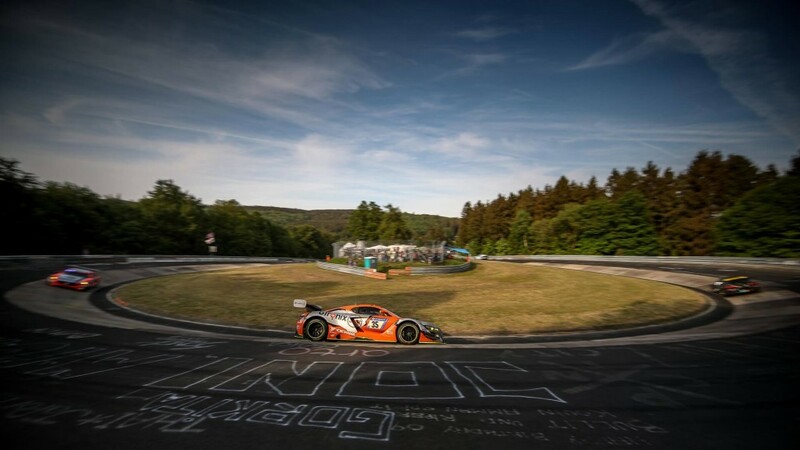 In the early morning hours, the vehicle went back to the track. 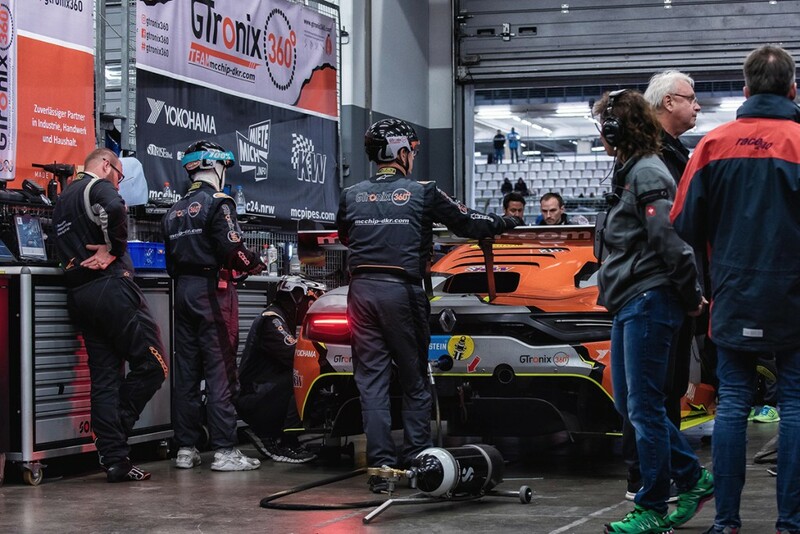 Unfortunately, the electric problems continued and the team decided to turn off the vehicle. 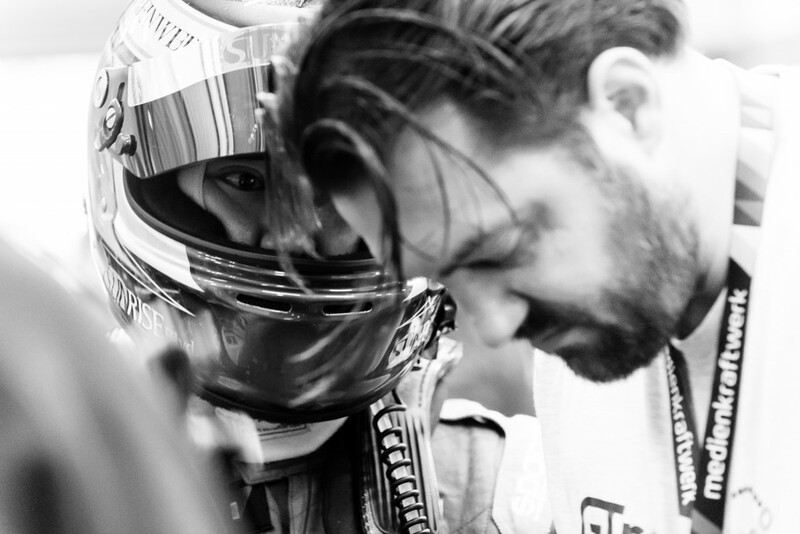 Team manager Danny Kubasik: “I’m really proud of my team and very happy that we finally saw the checkered flag. Behind the project is a lot of hard work because the Renault R.S. 01 was originally not developed for endurance racing. In view of that and the strong competition, I think we did our best and achieved the best possible result. The failure of the Porsche Cayman was, of course, a great pity for everyone involved. Lastly, I would like to thank our sponsors MieteMich.info, Yokohama, KW suspensions and GTronix 360°. 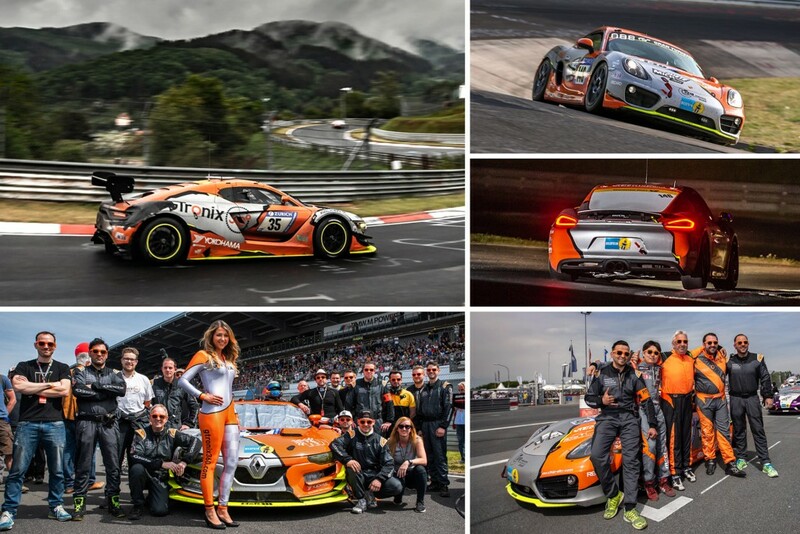 How it will continue with the Renault R.S. 01 in the future is currently not fixed”.